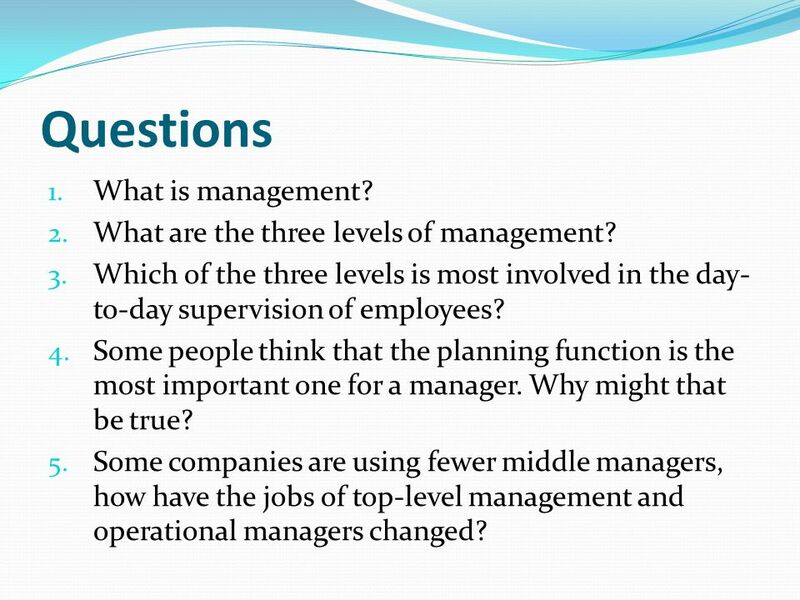 8 Questions What is management? 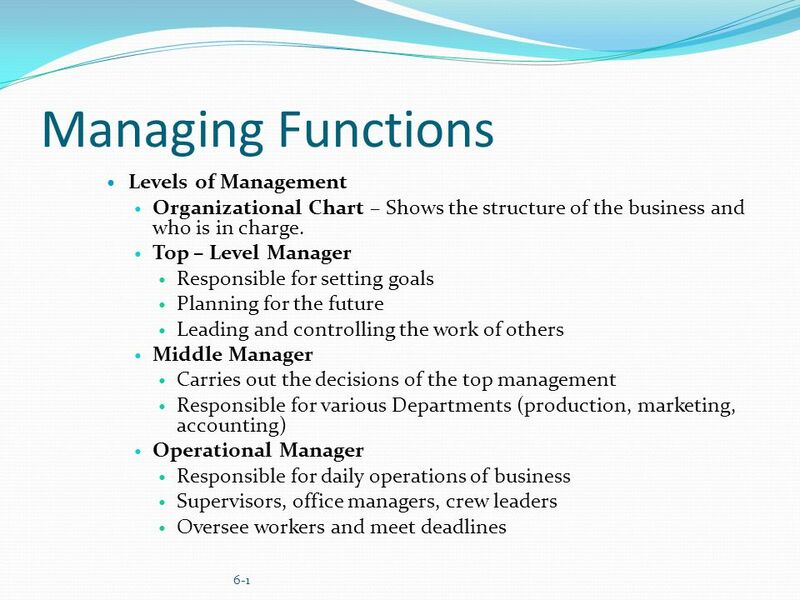 What are the three levels of management? Which of the three levels is most involved in the day-to-day supervision of employees? 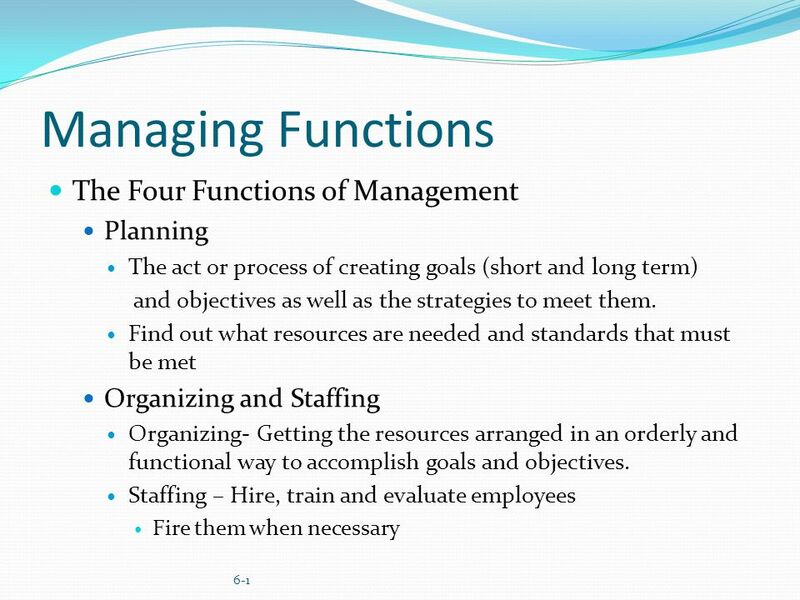 Some people think that the planning function is the most important one for a manager. Why might that be true? Some companies are using fewer middle managers, how have the jobs of top-level management and operational managers changed? 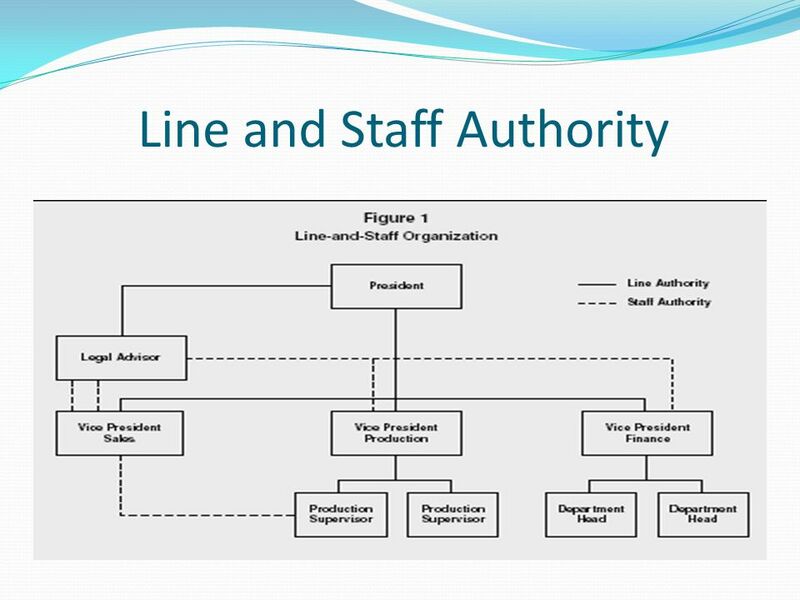 16 Questions What is an advantage of a line and staff authority organization structure over a line authority organization? 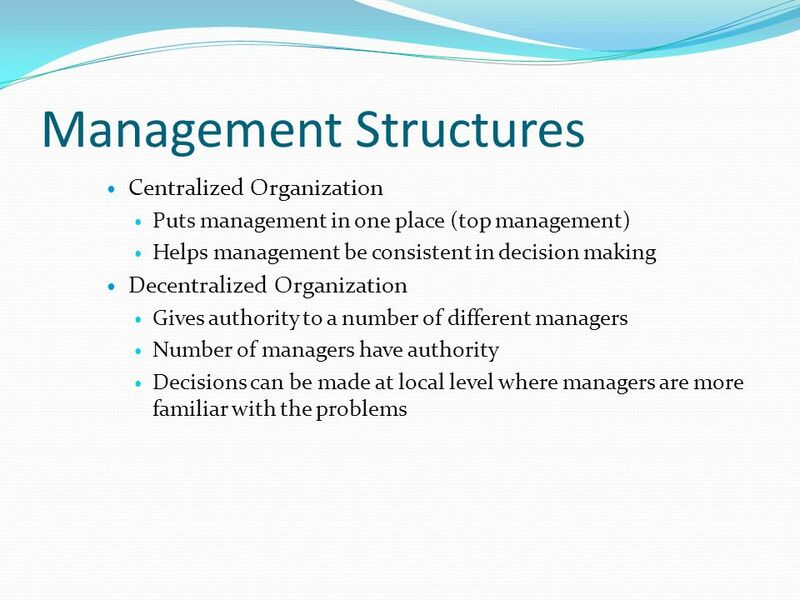 Why do some businesses use a decentralized organization? 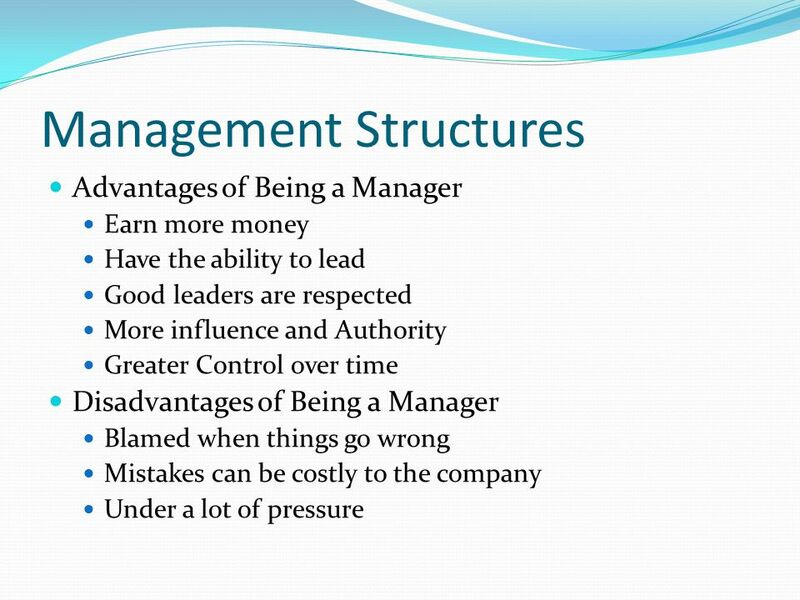 What are some characteristics of an effective manager? 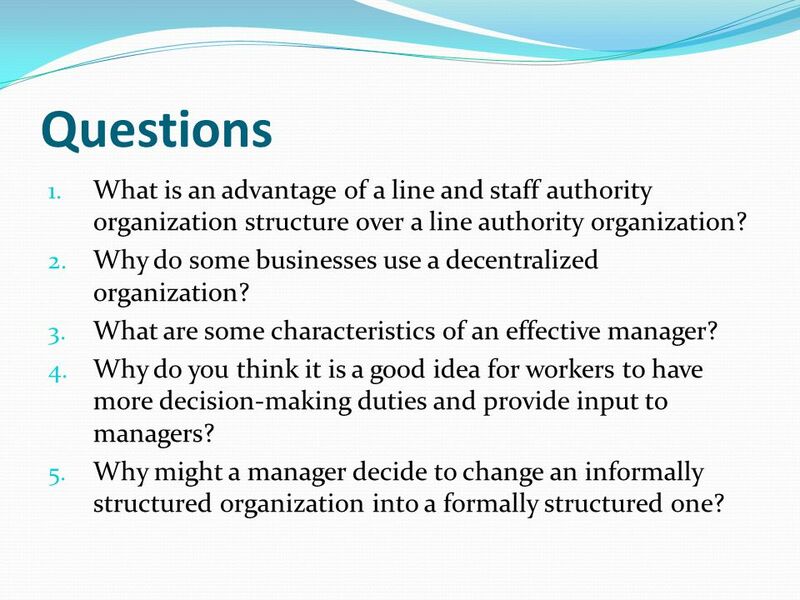 Why do you think it is a good idea for workers to have more decision-making duties and provide input to managers? 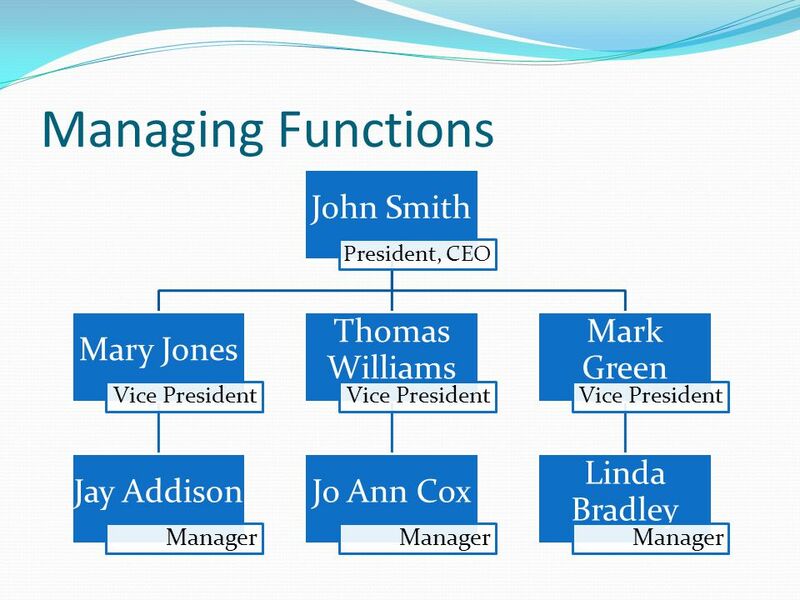 Why might a manager decide to change an informally structured organization into a formally structured one? 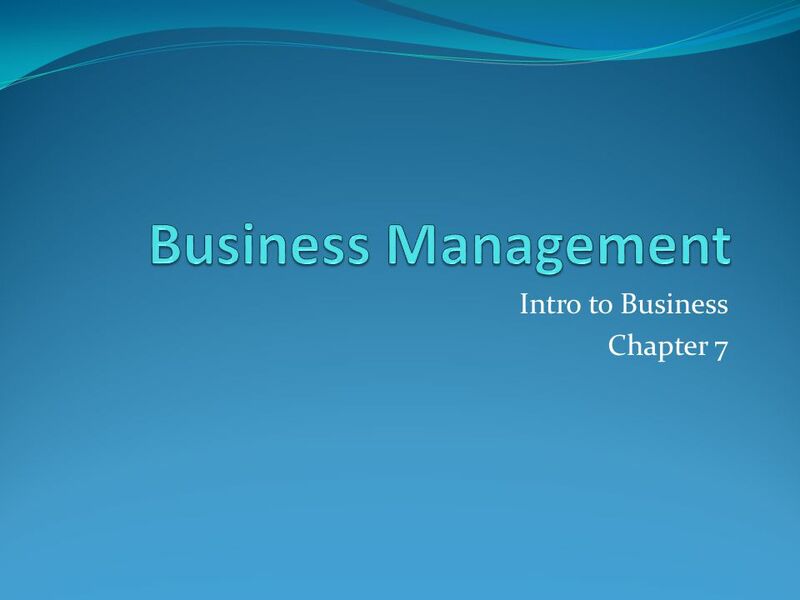 Download ppt "Intro to Business Chapter 7"
4.02 Understand business management activities and careers. 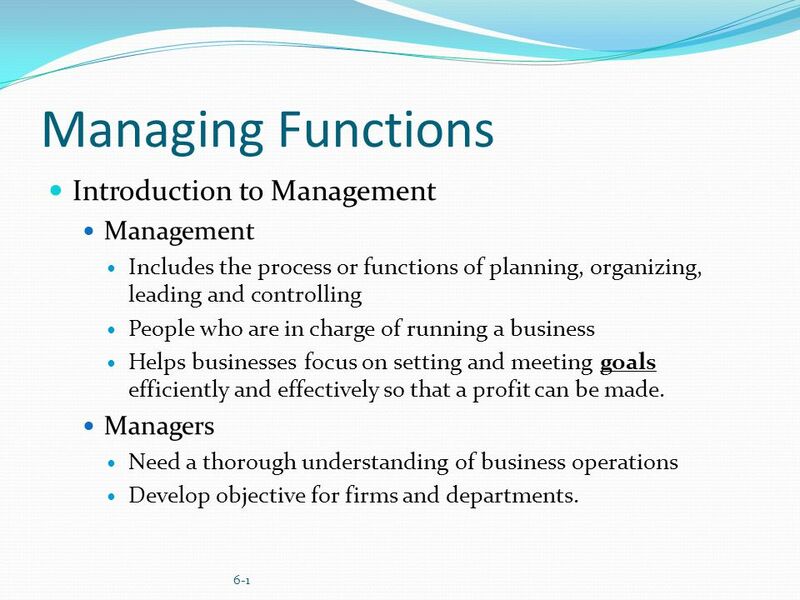 Read to Learn Describe the overall purpose of management. 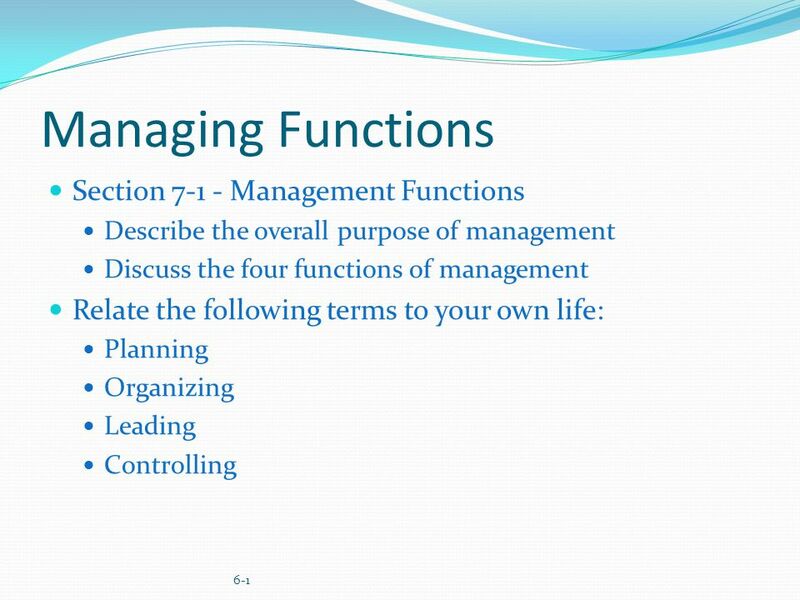 Discuss the four functions of management. * * Chapter Eight Adapting Organizations to Today’s Markets McGraw-Hill/Irwin Copyright © 2012 by The McGraw-Hill Companies, Inc. All rights reserved. 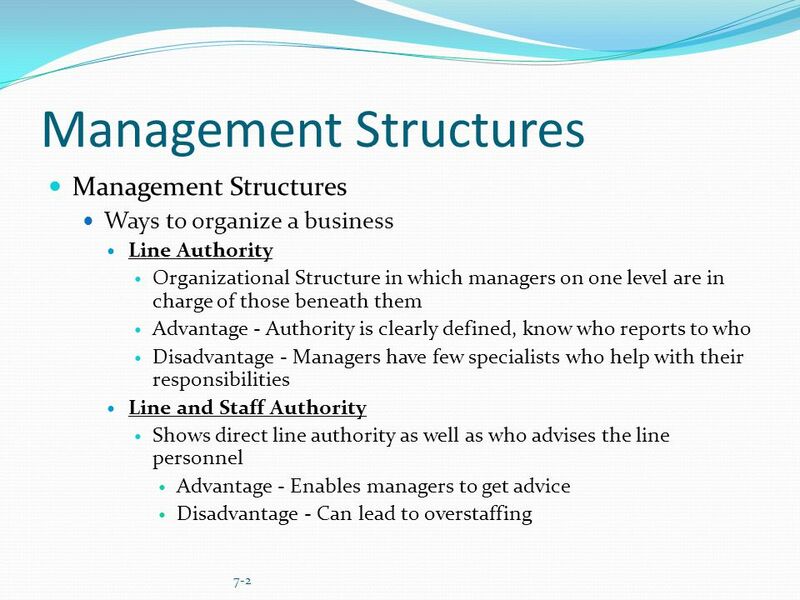 Read to Learn Identify the differences between management structures. 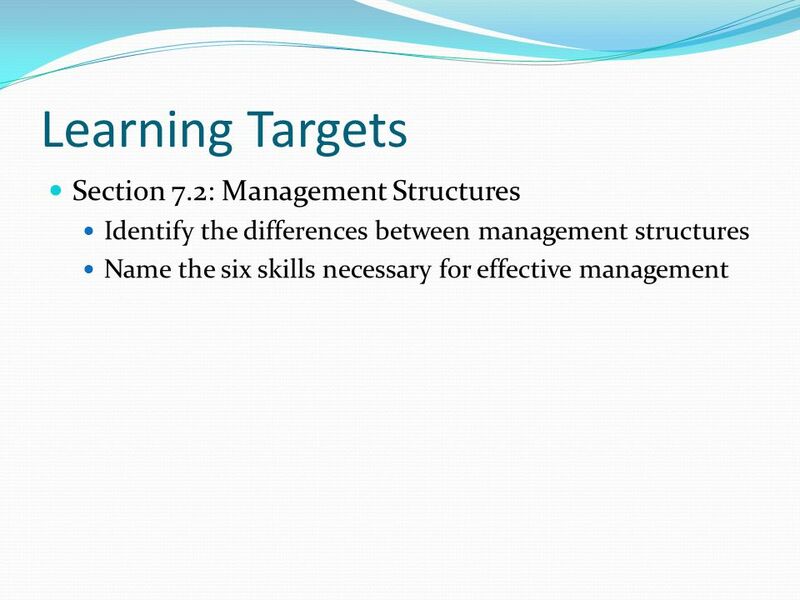 Name six skills necessary for effective management. 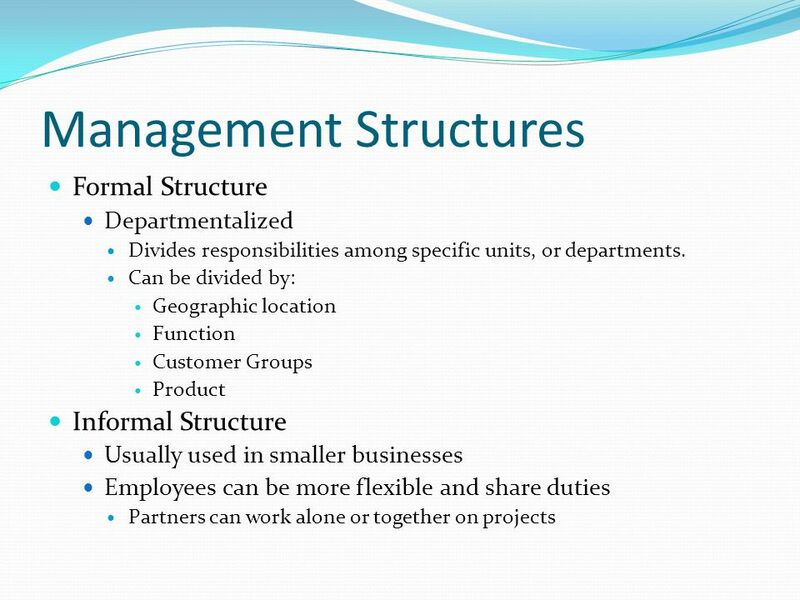 Chapter 7 Organizational Structurespp Introduction to Business, Organizational Structures Slide 2 of 55 Learning Objectives After completing. 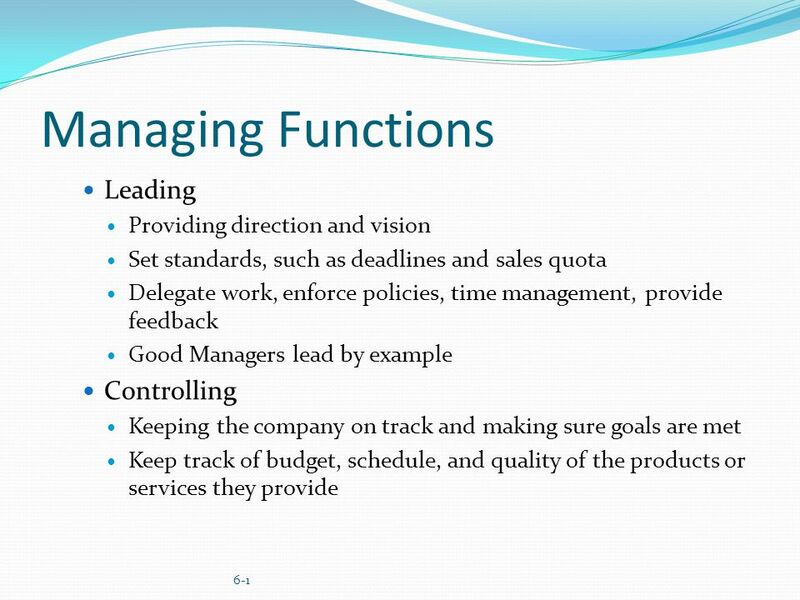 Part 3 Managing for Quality and Competitiveness © 2015 McGraw-Hill Education. 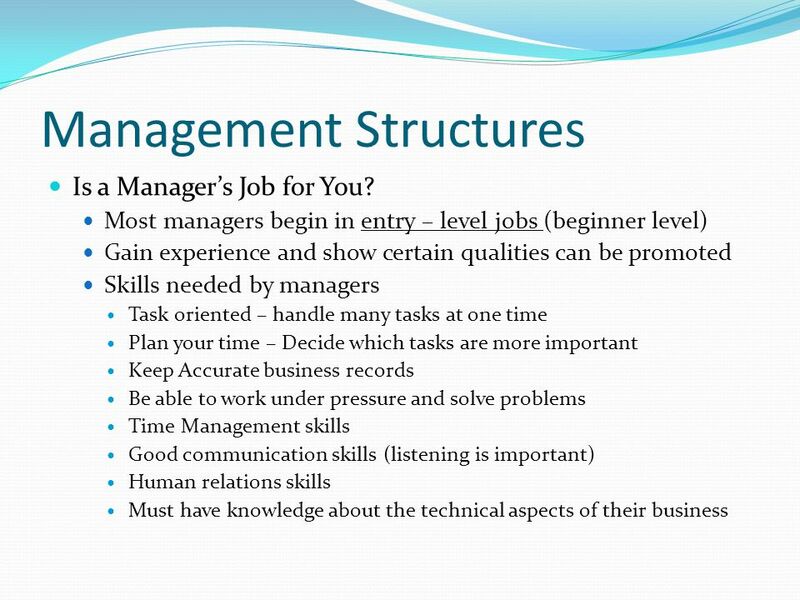 Business Management What kind of skills do you think a leader should possess? FHF Copyright © 2011 by The McGraw-Hill Companies, Inc. All rights reserved. McGraw-Hill/Irwin.